Learn how to improve your grammar skills. Enhance your writing and communication abilities. We all use language in some form and we combine words to effectively communicate with others, both in the written and spoken forms. This course will help to improve the way you communicate in English, by strengthening your grammar and punctuation and introducing you to concepts of style and purpose; how your writing can and should change to ensure your meaning is clear in any context. We rely on punctuation and grammar to enhance the way that our words are received by others and to reduce misunderstandings. Grammar provides a coherent structure for the expression of thoughts and ideas. 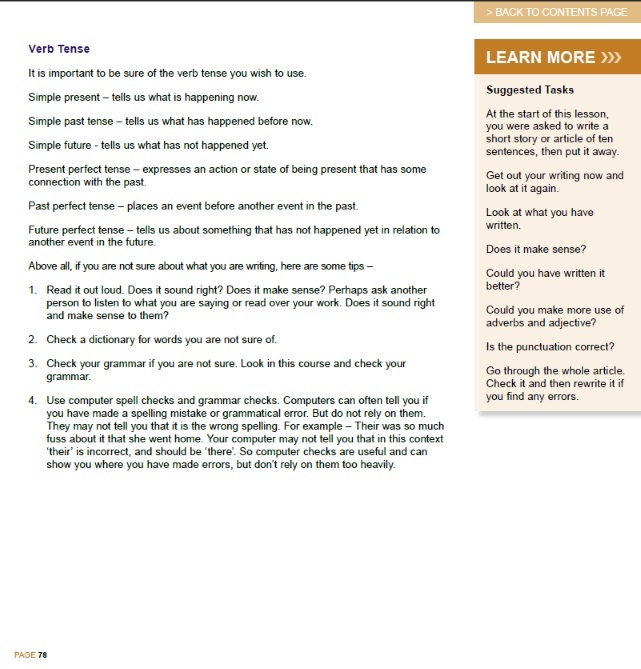 By following grammatical rules, we are able to compile logical sentences that make sense to the receiver. 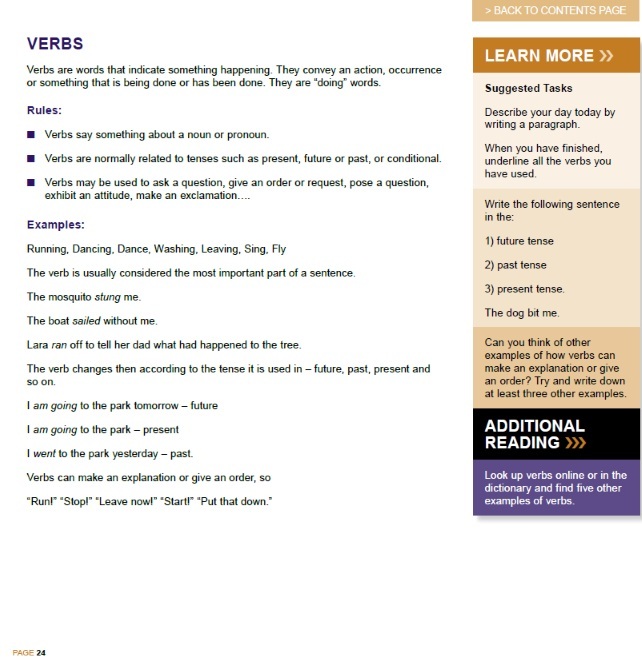 Punctuation is used to create sense within the correct grammar, indicating such things as start and end of sentences, spaces, groupings, questions and so on. 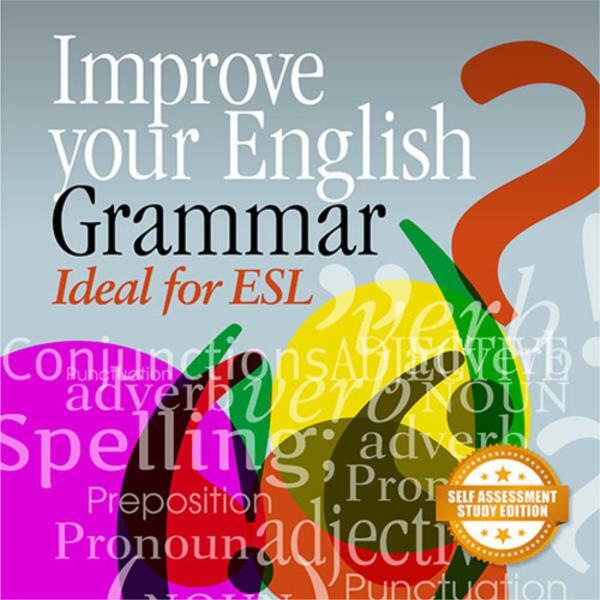 This course can help English speakers to improve their grammar, punctuation and control of language elements, particularly in written communication. For speakers of English as a second language, it will help to clarify some of the rules to follow in both written and spoken language. Rules and Guidelines for their use. Language styles- persuasive, imaginative, formal, colloquial and more. Language for purpose - narratives, recounts, expositions, reports and more. 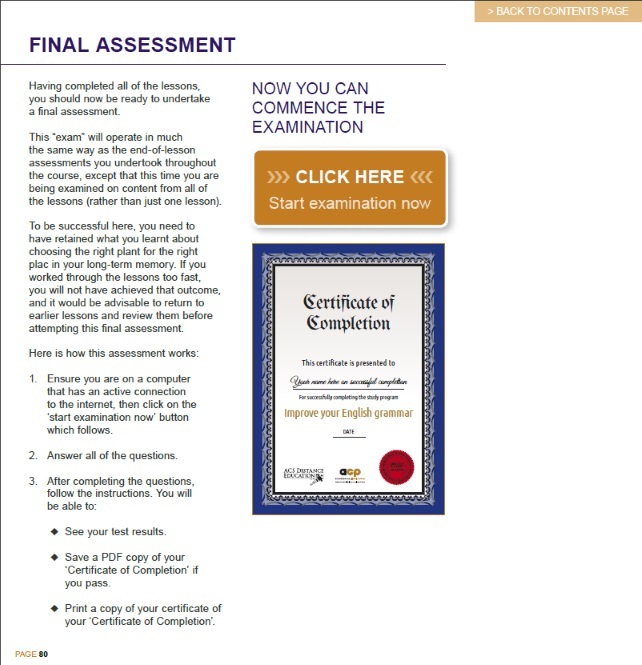 If you achieve a 60% pass in the exam, you immediately receive a downloadable certificate of completion with your name on it. For those who have English is their second language.